Xactimate can be accessed across multiple platforms (desktop computer, online browser, mobile device) to gain efficiency in handling claims. This course preps you for Xactimate certification Level 1, 2 & 3. $15 off each Xactimate User Certifications (Level 1, 2, 3) –up to a $45 value! 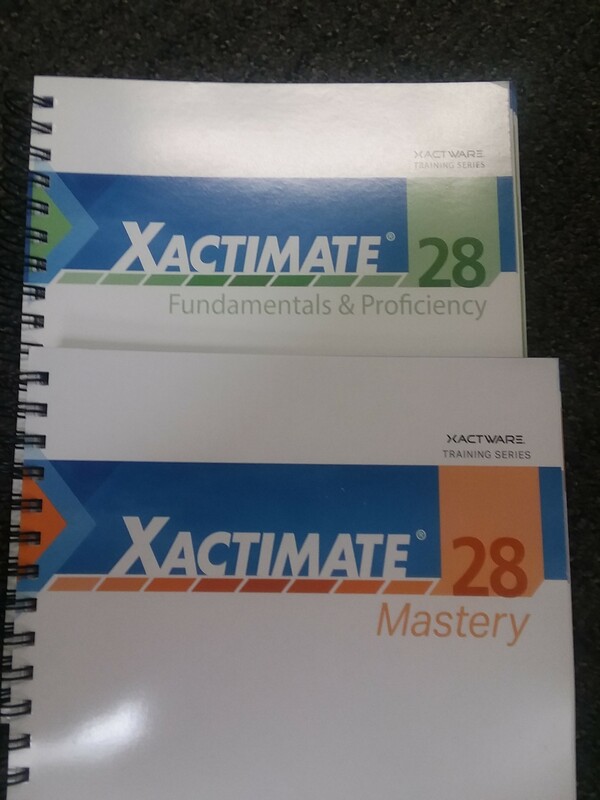 The Xactimate Fundamental training course is designed for new Xactimate users. If you’re new to the restoration industry, you need this class! This is the ‘beginner’ class. Most attending this class are ‘brand new’ at this program. They are either barely using it or have just recently gotten the program. Xactimate is the estimating & billing program for this industry. If you’re not using this program then you need to be using a ‘service’ that does because otherwise you’ll be leaving thousands of dollars behind. Students in this course will be introduced to the techniques and best practices needed to create small- to medium-loss estimates using a variety of Xactimate 28 tools. Students will be taught the most efficient ways to set up, sketch, scope, and deliver professional estimates. All this is done while preparing students for Level 1 certification exams. Xactimate Intermediate training course is for those at the proficiency level. You should be versed in the fundamental concepts in Xactimate before pursuing these intermediate concepts. Furthermore, you will be introduced to several time-saving tools in Xactimate that can help you write an estimate effectively, accurately, and quickly. Empowering yourself with knowledge and more advanced skills from the proficiency level helps enhance your estimating expertise. This is done while preparing the students for the Level 2 certification exams. Passing the Xactimate certification exam validates that you have the knowledge to accurately and efficiently create an estimate in Xactimate at a proficiency level. The Xactimate Advanced Training Course is designed for intermediate to advanced Xactimate users. Each class is designed to meet the business needs and learning objectives of students. Students will build on their knowledge of sketch by learning to create more complex diagrams (large interiors and exteriors, roofs, and more) as well as estimating within Sketching. Students will be taught advanced variables, keyboard shortcuts and other techniques to improve their skills. This course also focuses on a variety of estimating methods to increase overall efficiency. All this is done while preparing students for the Level 3 Certification Exam.